In an effort to make the web a better place for all – Google, Bing and Yahoo announced schema.org today. The website offers comprehensive info to website owners and developers about structured data markup. According to Google the website’s goal is to be the one stop shop for proper data markup and create a common markup structure across all major search engines. What exactly is this structured data I speak of? Well, essentially it’s a way to markup specific information on your site in order to provide additional detail to search engines on exactly what it is. Search engines then take this data and pull it into search results. 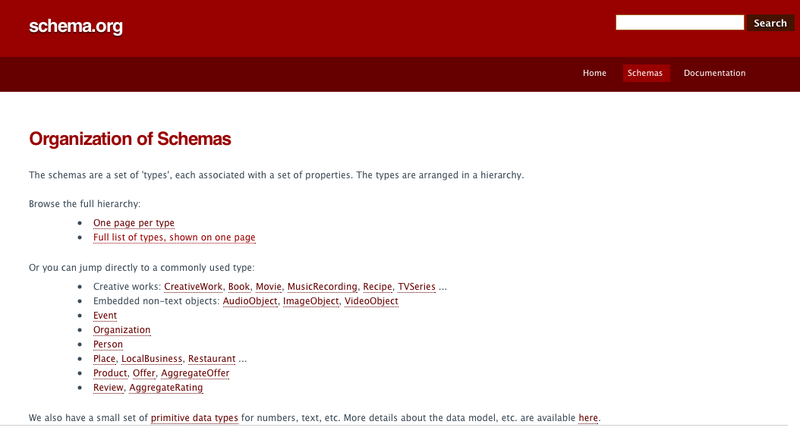 Schema.org is super easy to navigate and everything is organized by what type of information you’re looking to markup. Google’s blog post boasts about the numerous markups available – from products to TV Shows to music. Hopefully this new united front with the top search engines will have us seeing a lot more helpful information being pulled into our search results and open up more opportunities to promote business information. You can read more about the announcement on the official Google search blog.